Use the following information to learn more about how our team attempts to inspire engineering in our community. 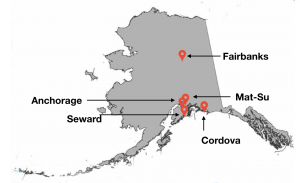 Our team comes from 13 different high schools in 5 different communities covering an area of 19,146 square miles of Alaska. 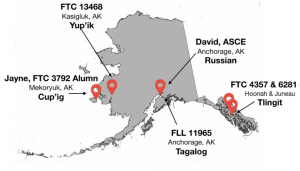 We have collaborated with FIRST teams and community partners across Alaska to translate Riley Robot books into multiple languages.